HONG KONG – (ACN Newswire) – Shentong Robot Education Group Company Limited (Stock Code: 8206) (“S ROBOT EDU” or the “Company”, together with its subsidiaries, the “Group”) is pleased to announce its third quarter results for the nine months ended 31 December 2018 (the “Period”) today. The Group is the only enterprise in Heilongjiang Province authorised to provide robotics-related education and training, and host robot sports competitions for the entire province (collectively, the “Robotics Education”). The Group’s revenue was mainly attributable to the provision of robotics education and other business in the PRC, including robotics competitions and promotion and management services of “Shentong Card”. Benefiting from the continuing development of the Robotics Education Business, the Group recorded consolidated revenue of approximately HK$136,682,000 during the Period, representing an increase of approximately 34.7% as compared with the corresponding period last year. 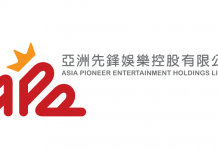 The Group’s gross profit surged by 48.7% year-on-year to approximately HK$99,829,000, while gross profit margin increased by 6.8 percentage points year-on-year to approximately 73.0%. With the sustained growth in business, the Group recorded a profit for the period attributable to owners of the Company of approximately HK$49,155,000, representing a significant increase of approximately 135.4% as compared with the corresponding period last year. The Robotics Education continues to be the Group’s key growth engine. For the nine months ended 31 December 2018, the business revenue was approximately HK$120,108,000, representing an increase of approximately 52.3% as compared with the corresponding period last year. During the Period, the Group strengthened the reputation of the Robotics Education in Heilongjiang Province by launching various robotics-themed activities such as research and travel activities, carnival activities, holiday training courses and teacher training in the province. In addition, in order to integrate resources and cultivate talents in the field of artificial intelligence and robotics innovation, the first session of the inaugural meeting of the Artificial Intelligence and Robotics Education Committee of China Education Development Strategy Association, and the 2018 China Artificial Intelligence and Robotics Education Development Forum was held in November 2018, promoting technological innovation and resource integration and sharing in the domestic industry and academia. Shentong Robot Education Group Company Limited (“S ROBOT EDU” or the “Company”, Stock Code: 8206) has expanded its business to industries related to robotics education in the PRC upon completion of the full acquisition of the service provider of China Robotics Competition (“CRC”) in Heilongjiang Province on 16 May 2016. The Company focuses its primary business development on the robotics education in the PRC. In addition, the Company’s businesses also include robotics competitions and promotion and management services of “Shentong Card”. Shentong Robot Education Group Company Limited is the only enterprise in Heilongjiang Province authorised to provide robotics-related education and training, and host robot sports competitions for the entire province (collectively, the “Robotics Education”). The Robotics Education in Heilongjiang Province has become the main driving force of business growth of the Group. The schools and training organisations in Heilongjiang Province become the official CRC Training Centre by submitting applications to the CRC Working Committee through the Company. The Company then coordinates with the registered CRC Training Centres to provide them with CRC courses and CRC teaching materials, relevant equipment and tutors. Once the CRC Training Centre starts to provide CRC training courses, the Company will be a CRC Course Provider and provide authorised CRC courses in the Province. The Company also established self-operated demonstration centres and online learning platforms to provide authorised CRC courses, and it will reach out to more schools and training organisations, by promotion, site visits and demonstrations in Heilongjiang Province, to encourage them to become CRC Course Providers. The Company’s revenue proportion in Robotics Education Business is: 100% for self-operated demonstration centres, 100% for online learning platforms, 50% for schools and 30% for training centres.